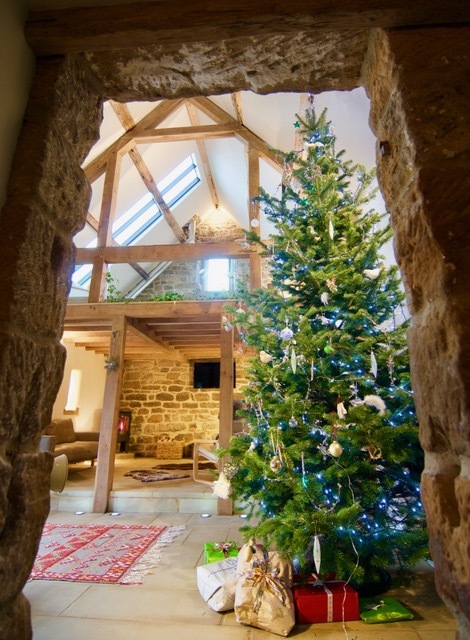 Christmas at Crag House Farm in the North York Moors National Park is an amazing experience. The barns look absolutely stunning dressed with fresh 13ft Christmas trees that we have selected from the forests at Duncombe Park Estate in Helmsley, this is one of Liz’s favourite jobs of the year! With the fabulous cosy underfloor heating keeping toes snug and warm imagine you and your loved ones enjoying mince pies and sherry and a chocolate or two as you pop another log on the fire. 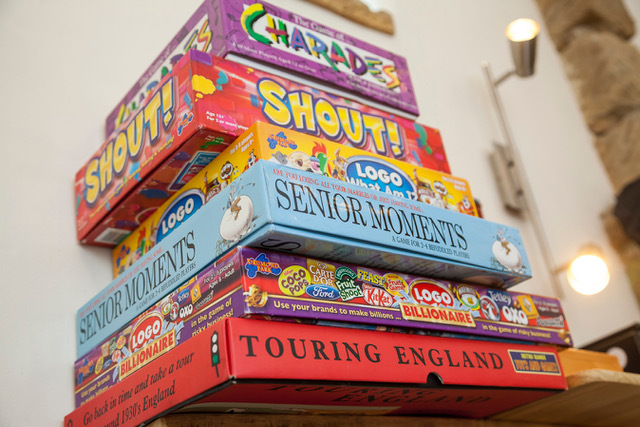 Old fashioned board games come into their own at this time of year and we have a jolly good selection for you to enjoy. Don your scarves and boots and wrap up warm, take a bracing walk straight from your doorstep where beautiful Danby Dale stretches out before you. Circular walks to the local village pubs with their log fires burning and Yorkshire bon homie is at it’s best. Whether you’re striding the moors or walking along a windswept beach, one fact you should know The North York Moors is actually the driest upland in Britain. 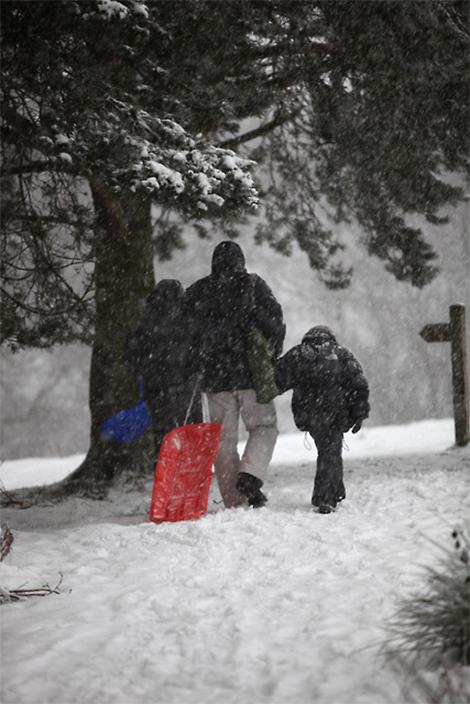 We sometimes get snow but we have that covered too with sledges ready for you. 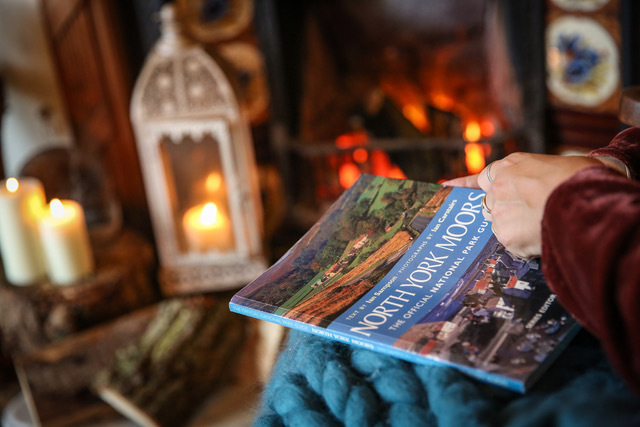 There is plenty to do at this time of year, for young and old, indoor and out and this North York Moors National Park is a great place to start finding out about the area. Full steam ahead….Kids and grown ups too, will love the ‘Santa Specials’ on the North Yorkshire Moors Railway. Discover Whitby and the amazing Yorkshire Heritage Coastline with it’s diverse mix of traditional seaside towns and pretty fishing/smuggling villages. The historic city of York is at it’s finest at Christmas and throughout December. Visit 18th century Castle Howard Yorkshires finest Country House and estate with stunning views both inside and out. You’ll love the Market towns and villages that surround us, boutique shopping, Castles and gardens to visit and some really cool places to eat and drink. Why not consider an after Christmas break! Crag House Farms Design Award Winning Barns are the perfect Hygge retreat, hunkered down in the splendour and beauty of the North York Moors and Coast National Park. The early months of the year are the ideal time to escape the humdrum of everyday life, seek out your winter rural Idyll. Come and discover our dark skies status, hunt for fossils, chase those storms and blow the cobwebs away with your best friends, family or dog. 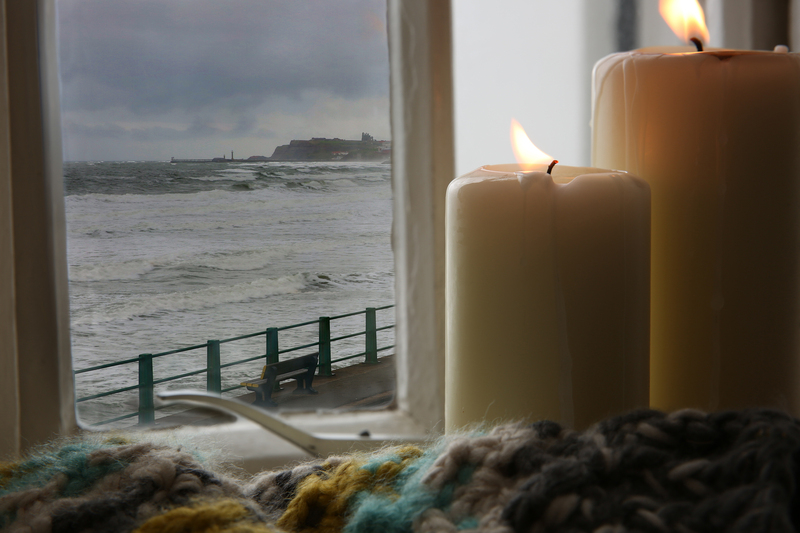 leave your ‘jobs to do’ list at home, pack your wellies, your new Christmas hat and scarf and slot into nature’s rhythms. Welcome to the North York Moors and Coast National Park. We have the ‘outdoor feel good factor’ covered! 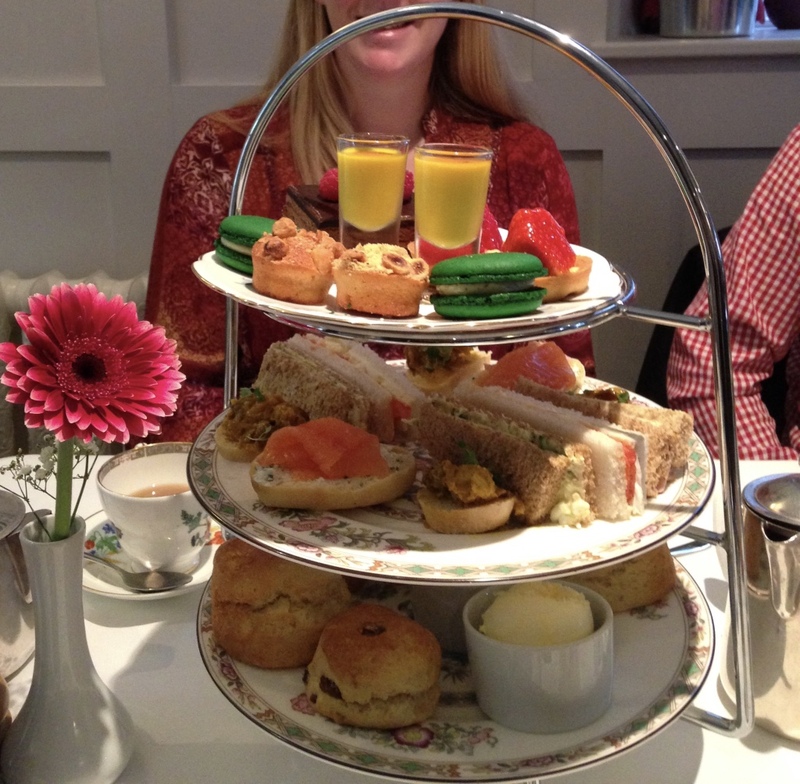 North Yorkshire has officially got the best places to eat (outside of smokey, stressed out London!) lucky old us! 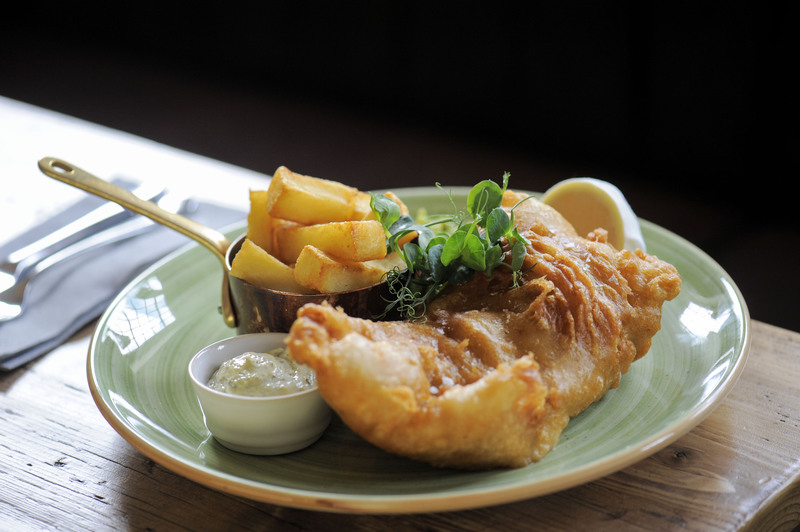 And we can guide you to the best whether its Michelin stars you seek, cake and high teas or gorgeous fish and chips. Retreat back into the Barn’s design award winning calming and restorative interiors. Generous open light and airy spaces with cosy, eco geothermally heated snugness under the Yorkshire flagstones. Chill on Danish Bo Concept leather sofa’s & snuggle under fur throws. Log fires, Yorkshire hospitality. Welcome.